interesting and beautiful in the back. Sometimes, a sofa table is perfect for adding needed interest and beauty. Function, too. Think storage, display, or a pair of lamps. Check out this top, below. A beautifully carved French top, perfect width. Just sitting there waiting. It hasn’t been there for long. It was once part of a larger piece. And it won’t last. Nope, not this one. Not at this price. The sconces on top aren’t part of the piece, in case you are wondering. It is going to be perfect for someone with a home in the French taste. I see it going on top of a simple but sturdy wrought iron stand. Custom made, just enough height to raise it to the exact sofa-table height. A tiny flip of iron at the foot. Just enough to say, “I honor your French heritage. Nothing more. Eyes only on the carving. And, no pretense of trying to marry a modern leg, made to look old, on this old piece. Perfect for a country French room, where the back of the sofa meets the eye. So much more beautiful to hide a visible plain sofa’s back view when possible. with room for a lovely pair of lamps. And even some storage space in the three bays. 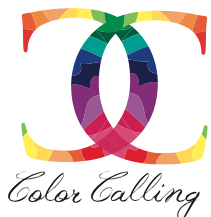 This entry was posted on March 5, 2013 by Ellen at Color Calling. 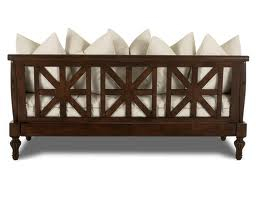 It was filed under Decorating trends, lamps, Residential styling and was tagged with sofa table.